A beautiful tribal inspired personalised sterling silver smile necklace. 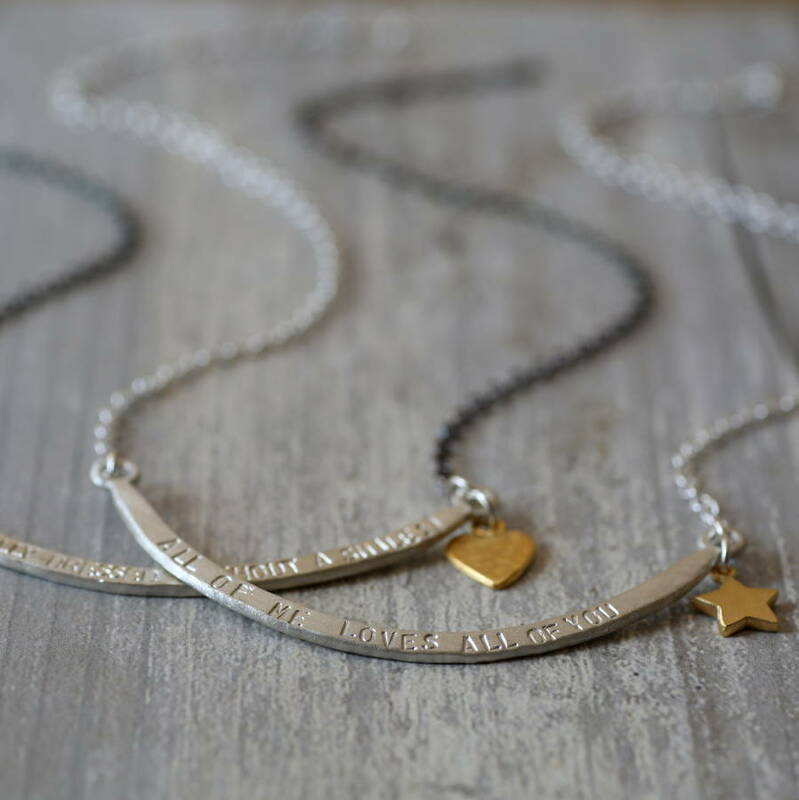 This stunning 18" sterling silver necklace with a subtle matt satin finish can be personalised with up to 35 characters of text. 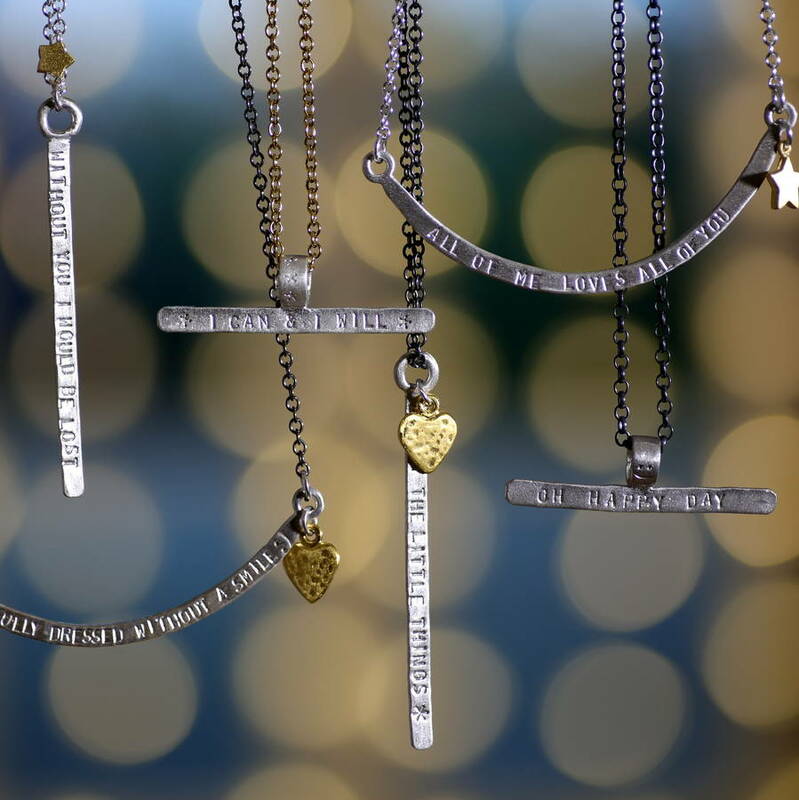 Choose names, dates or a personal mantra and create the perfect gift. 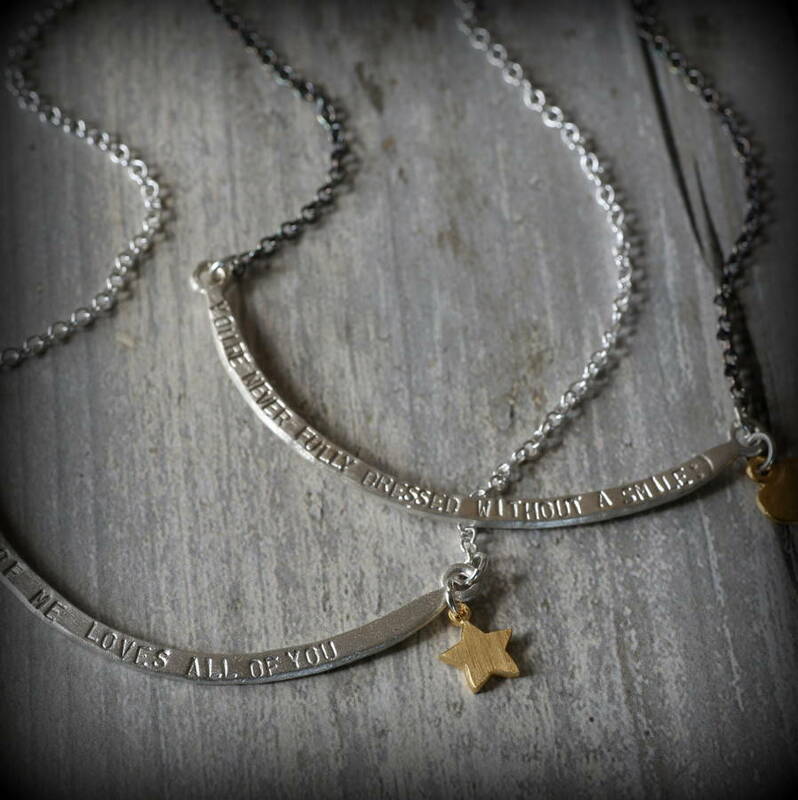 It adorns a belcher chain which comes in sterling silver, gold plate or an antique oxidised finish. 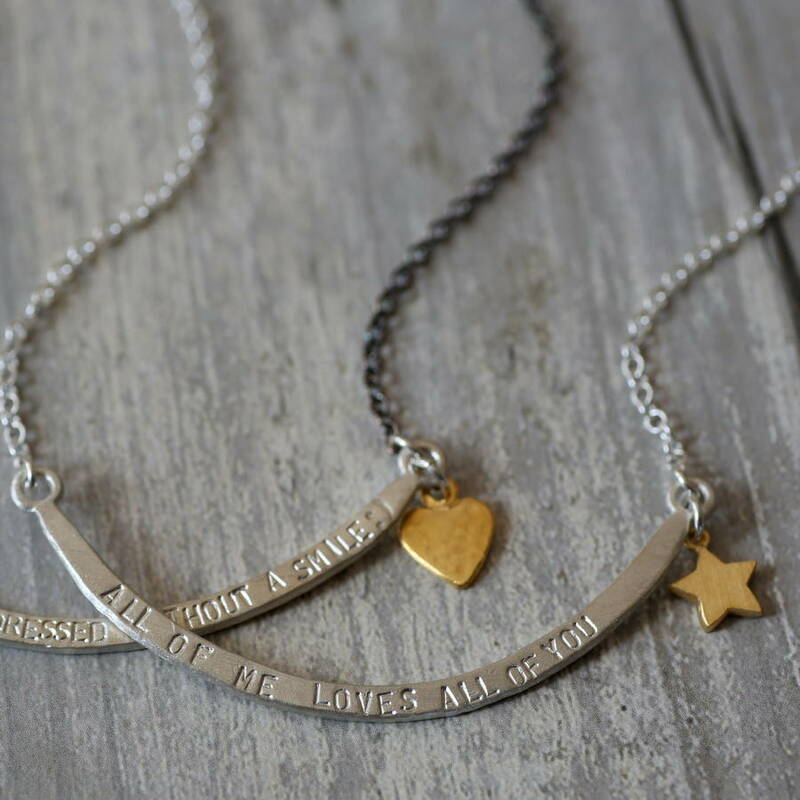 The text is hand-stamped letter by letter. This creates a quirky uneven finish rather than a perfect machine straight finish. We do this as we feel it adds to the individual charm of each piece. No two pieces will be alike. Can be personalised with up to 35 characters of your choice (includes spaces). The sterling silver chain is available in gold plate, antique oxidised or polished silver and is finished with a Chambers & Beau tbar clasp. 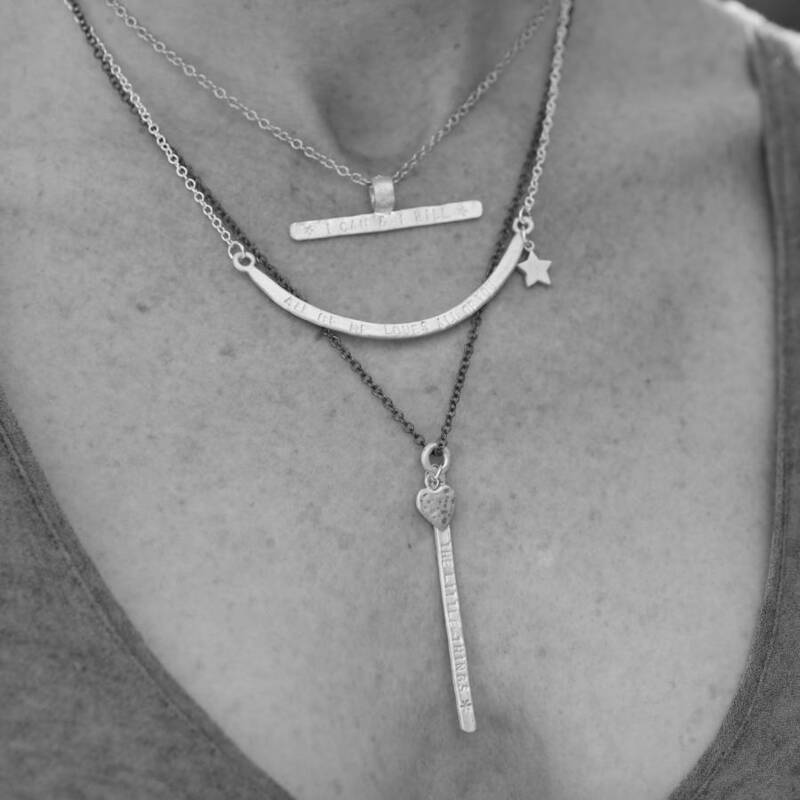 Adorn the smile pendant with a little charm for added appeal. The necklace comes beautifully packaged. 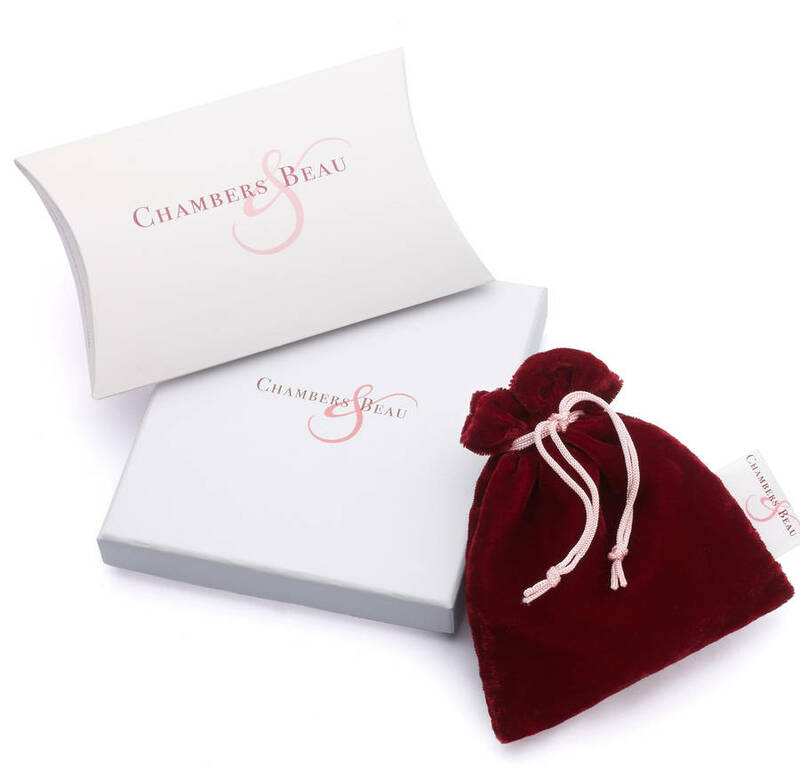 Wrapped in tissue and held in a velvet pouch inside a luxury gift box. Pendant measures 7.5cm in length.